We are all familiar with the iconic CocaCola® trademark for beverages as well as FEDEX® for delivery services. In the case of ™, anyone who has a business that offers a product or service can use the ™ mark. It’s a little, short, capital ™. It’s usually put as a superscript next to the brand name. Anytime somebody is trying to develop a brand, they can start off by using the ™. There’s no legal requirement. There’s no registration. There are no fees. You don’t even have to have an attorney to figure out that you should start using the ™. 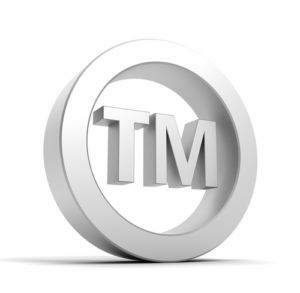 A trademark is best defined by the courts recently saying it’s an adjective. It’s always the brand name, followed by a noun. For example, Philadelphia™ Brand cream cheese. Whenever you have an adjective that you use consistently to describe your goods or services, it would be appropriate to put a ™. Sometimes that’s as far as you’ll ever be able to get, because federal registration, which is symbolized by the Ⓡ, is not always achievable. There are specific circumstances that you have to meet in order to get the Ⓡ. The first requirement for getting an Ⓡ is to actually be in business. You have to be producing the goods or delivering the service that you want to register the trademark for. You may apply before that under something called “intent to use,” but you cannot use that Ⓡ until you actually get the registration — and you cannot get the registration until you’re absolutely in business and can prove it. The second requirement is that it has to be an interstate business, not intrastate. An example of that could be any business in New Jersey transacting with any business in New York. The Ⓡ provides protection throughout the 50 states and US territories. So the local pizza shop may never qualify to have a Ⓡ, because they’re strictly local. They can, however, use the ™. The ™ only provides protection where you do business. A strictly local business can use the ™, and that will define its territory and a reasonable expansion thereof. For instance, a pizzeria might be able to claim that the county in which it is located is its territory. If it has a lot of clients coming from other counties, it might even be able to say a whole region is its territory. Where your clients and customers come from, or where you ship to, is very important as a way to legally define your territory. In the case of the federal registration Ⓡ, as long as you’re doing interstate business, and it can be only with two states, you are in interstate business. If you achieve the Ⓡ registration, you have protection throughout the United States, all 50 of them as well as the territories. Once you have the Certificate of Registration, you are good to go with the ®. Generally speaking, you can use the ™ without qualms, but the Ⓡ is very special, and you should consult your local trademark attorney to find out how you can obtain a Ⓡ for your trademark.